Our range of products include dehydrated palak powder, dehydrated spinach powder and palak powder. 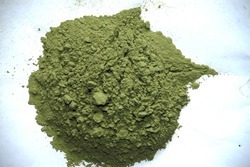 Capitalizing on the proficiency of our professionals, we have been able to manufacture and export an unparalleled range of Dehydrated Palak Powder. Owing to characteristics like high nutritional value, excellent health benefits and pleasing aroma, these palak powders are used in various hotels, restaurant and households for preparing curry and soup. 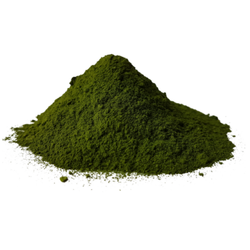 Our Dehydrated Palak Powder is prepared at our modern machining facility by using fresh palak under the observation of food inspectors and chefs. In addition, to retain the original quality and freshness of the powders, these are packed in quality packaging material. We are the trusted name in delivering quality Dehydrated Spinach Powder, these are easily available at affordable price. Our dehydrated palak Powder is prepared at our modern machining facility by using fresh palak under the observation of food inspectors and chefs. In addition, to retain the original quality and freshness of the powders, these are packed in quality packaging material. 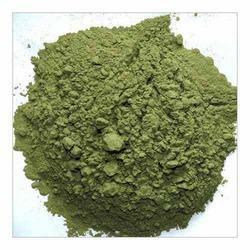 Garlico Industries is a trusted name in the business for offering Dehydrated Palak Powder. Used for preparing curries and soups, the offered powder is vastly demanded in hotels, restaurants, and homes. Free from contaminants and hygienically prepared, the offered powder is an excellent source of vitamins, minerals, protein, Potassium, Thiamine, antioxidants and Vitamin C, A & K.
We are among the celebrated names of the field to engage in proffering Palak Powder. With the use of this powder, one can easily prepare the puree. Offered powder is processed using Advanced Low-Temperature Cold Drying Technology (LTCD) that involves a stringent process of drying spinach in a sterilized closed room at low temperature. Hygienically packed, the proposed batch is massively demanded in hotels, household, and restaurants.